Getting a little extra boost to your grades always helps. Perhaps the easiest way to achieve this is using online resources including tutors. These services cost money, but they are not beyond the reach of the average student. All it takes is a little discipline on your part. Let’s take a closer look at ways you can budget for these services. As a student, college is a difficult time money-wise, especially if you are at an institution outside your hometown. This is a time when you are probably earning a little bit of money here and there through odd jobs but chances are you have to stretch your budget each month. And then there is the occasional unexpected extra college fees, be it for an excursion, extra books or maybe a frat party! There a few simple steps to consider to start working your way to affording an online tutor. Make a budget: Start by making a budget. Not only will a budget help you keep track of your spending, but it will also instill the need to develop sound financial habits and planning that will benefit in later life. A budget is also a very important way to keep track of credit card spending. No need to get yourself even further in debt over and above your college tuition fees. Credit cards are no doubt useful but can spell disaster if used recklessly. Leverage a part-time job and spending on tutors: Use that part-time job as a savings plan to spend on tutors when you need them. Sure it’s fun to spend your hard-earned cash on fun, but this is your future we are talking about. Part-time employment can readily bring in enough extra cash for tutoring. Consider work study programs: On-campus jobs are also a great way to supplement your income, especially as they may qualify for a government program called Federal Work-Study. This provides work to full-time students and is offered by over 3400 educational institutions in the United States. Work opportunities include tutoring elementary school children, working as a mentor or forming part of a college emergency response team. Subscription based model: This is normally paid monthly, but some do offer a discounted annual payment. These are best used when you are really struggling with a particular subject and need regular help. Question-based model: In a budget sense, this model is what you should be striving for. Here, you can submit single questions at a time and only pay for them. This is a great way to brush up on certain areas of a subject where you struggle. Other ways to earn money to supplement your budget. Other than the obvious ways to earn extra cash, waitressing or bartending for example, why not consider offering yourself as a tutor to fellow students in your class or even high-school students. Much in the same way that you will use an online tutor for college problems, many portals exist aimed at those students doing their SAT’s. Although many online testing systems are graded by computer, written portions do need human intervention and many portals are looking for people to score these sections. Once you have established a budget, you need to remain disciplined to ensure that you stick to it. Most of this will rely on you, but let’s look at a few tools and tips you can use to make the task just a little easier. By using a number of programs, websites and apps you can make your budget work for you. These help you to track your budget day by day which ultimately helps in taking control of your expenses and cutting out those that are unnecessary. Let’s take a look at a few in closer detail. Microsoft Excel: Excel offers many ready-made budget templates or you could design your own. A spreadsheet is often the easiest way to instantly see changes within your budget and can be used to plan to spend effectively. Another advantage is that it does not require an internet connection. Simple.com: Need a free checking account? Simple.com provides not only a free account but some excellent budget tools aimed at smart spending. Mint: Mint works with your current bank account. It monitors spending, organizing your habits into specific categories. Not only that, but it then provides suggestions as to where it thinks cutbacks can be made. Level Money: A smartphone app, Level Money offers real-time budget tracking which automatically updates your spendable income. It is very useful to see how much money you have left on a daily, weekly or monthly basis, depending on how you set it up. Left to Spend: This smartphone app is perfect for students wanting to operate within the parameters of a certain spending allowance, specifically allowing them to see how much of their monthly budget remains. Lastly, here are a few general budgeting tips that can help you stay in good financial health. Build up a credit: Having a credit card is a great way to build up a credit history. Be warned, owning one will take discipline to spend only when necessary and make sure you never miss a monthly payment. Try to spend only around 20% to 30% of the cards limit. Rent textbooks: Many institutions offer textbook rentals as a way to cut costs. If possible, try this method and only buy the books that are absolutely necessary. E-books are also a cheaper option if available. If you do buy a textbook, be sure to sell it at the end of the semester to recoup some money. Learn to cook: Learning to cook basic meals will save a fortune! Take-aways, although convenient, cost in the long run. Consider communal living: If you are living off campus, communal living is the perfect way to save on rent. Student discounts: Many companies offer student discounts. Use this to your advantage. 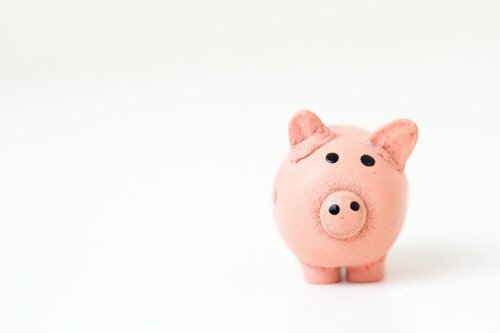 By following these ideas, it is possible to stay within a budget, enjoy the student life and have enough money for online tutoring when needed. The key is to get organized and be aware of your finances.